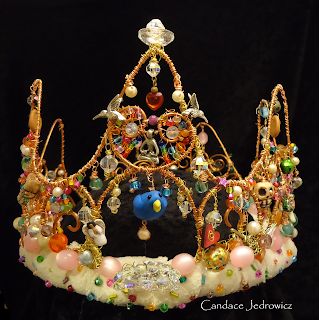 This is one of my favorite crowns! It's the Harmony Crown. It took just over 50 hours to complete. It's filled with bits and pieces of Great Grandma's buttons, Grandma's jewelry, beads given to me from friends. There are several of my hand made beads - the bird on the front, cookies, skulls, doughnuts, all my favorite things! The construction is electrical wire and the base is wrapped with sherpa fleece. 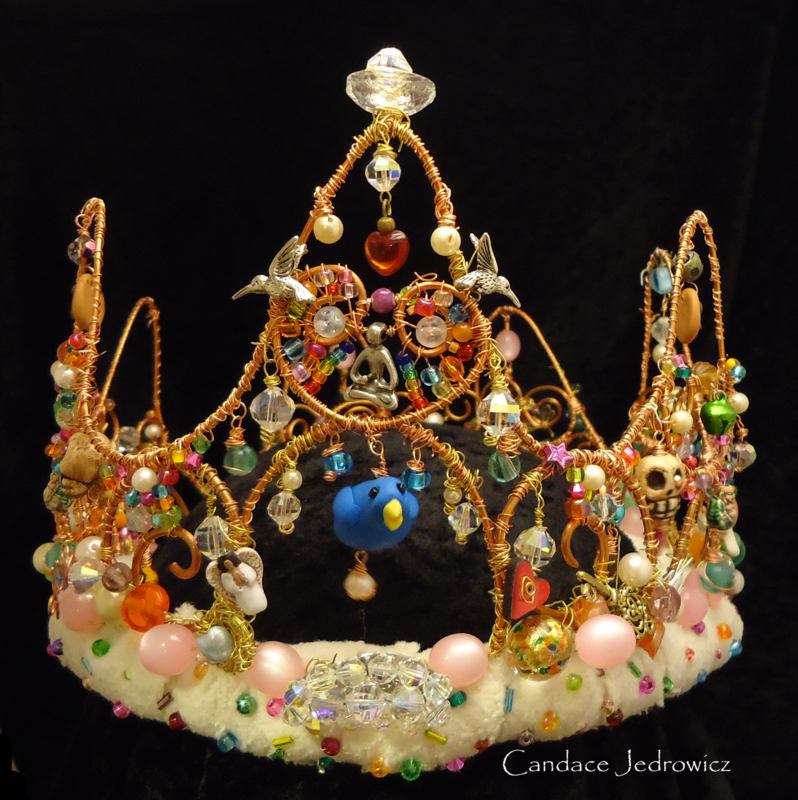 Do you make crowns? I would love to see!